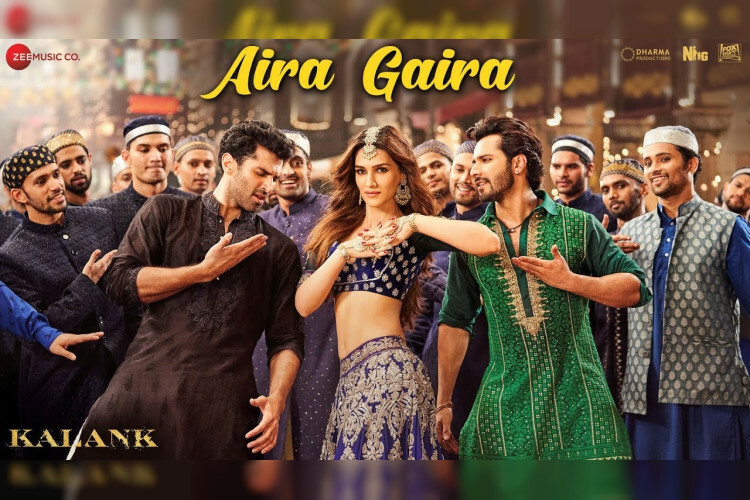 After ruling all playlists, Kalank makers come up with a new song titled Aira Gaira. A full-on dance track, Aira Gaira, is the 5th song from the movie after Ghar More Pardesiya, First Class, Kalank Nahi Ishq to Tabaah Ho Gaye. The song is sung by Antara Mitra, Javed Ali and Tushar Joshi while penned by Amitabh Bhattacharya. Remo D’Souza has choreographed the moves. Featuring multi stars, Kalank will release on April 17.